We're obsessed with finding the perfect foundation coverage, whether that's a dewy finish, something more matte, or the ever-elusive in-between goodness that will make us glow on cue (but never look greasy). During this quest, we come across makeup phenomenon that celebs, models, and editors seem to swear by. Such is the case with Giorgio Armani's Luminous Silk Foundation ($64). Kim Kardashian West has mentioned it by name, it's the secret to a slew of my co-workers' radiant complexions, and I've read hundreds of positive reviews on Sephora. So naturally I had to try it, and I had to get my fellow Byrdie editors' opinions on it as well. Because a team of brains is better than one lonely brain, right? Right. Read on for all our thoughts on the good, the surprising, and the lit-from-within realness that almost immediately occurs as you apply it to your skin. "Using Giorgio Armani's Luminous Silk for the first time was like falling in love at first sight. The formula is creamy, light, and most importantly, buildable. It's the most versatile foundation I own, meaning I can use it during the daytime and mix it with moisturizer on a good-skin day, or go for a more full-coverage finish with my Beautyblender ($20) on a night out. It blends perfectly into my skin whichever way I apply it, and like a good best friend, I know I can always count on it when I'm having a bad (skin) day. There's a reason you'll find it in every makeup artist's kit (it also happens to photograph well, as my many Friday night selfies prove), and why many a beauty editor will tell you it's her holy grail foundation." "Disclaimer: I was honestly expecting not to like this foundation at all. I typically prefer a very dewy finish, and since I already knew that this had more of a satiny feel, I was worried that it would feel overly matte. But I was immediately pleasantly surprised by how lightweight it was, and that it really soaked into my skin instead of just sitting on top (the worst). Still, the texture was a little too velvety for my taste, and the coverage was more than I typically use, so I put my own spin on it by mixing a few drops of face oil and a pump of lotion. As a tinted moisturizer? Boom. Perfect." "I've been wanting to try Giorgio Armani Luminous Silk Foundation for such a long time. The Kardashians rave about it, and Chrissy Teigen uses it, along with a slew of other celebrities with flawless complexions, so I knew it had to be good. "When it arrived at the office, I let out an internal shriek and immediately scurried off to the bathroom to put it on. I didn't have my trusty Beautyblender with me, but I'd soon find that a sponge wasn't even necessary for perfect application. With just one pump, I had more than enough formula to cover my face, blemishes, dark circles, and all. I found myself oohing and ahhing the entire time. "What I love about this foundation is that it has a bit of a powdery finish to it—I didn't even need setting powder when I was done, and my face was still matte. But it wasn't the sort of matte that makes you look like a mannequin—instead, it has a velvety, effervescent finish. It truly deserves all the hype it receives." "This foundation is way fuller coverage than I typically go for—but for a night out when I want to look like I'm wearing the Lark filter IRL, I'd definitely reach for this. I'd be sure to apply a hydrating primer underneath, like Hylamide's HA Blur ($19) or Ish's Face Primer ($26), otherwise the product ends up looking a touch flaky and thick on my combo skin. But with the right hydration, damn, this stuff really makes my face look imperfection-free. What makes the product unique of course is the silky liquid texture, as opposed to a cakey powder or heavy cream. And a little truly goes a long way—like, one-pump-for-your-whole-face long. The product is definitely a splurge, but since I'm only reaching for it on special occasions, I feel like one bottle could literally last me for the rest of my life." "I've worn a lot of foundations over the years (not surprisingly), but despite its reputation, Giorgio Armani Luminous Silk has not been one of them until now. Ever since Charlotte Tilbury released Light Wonder Foundation ($45), I haven't found a need to try any others. And I must say even after my trial with the legendary Luminous Silk, my opinion hasn't changed. 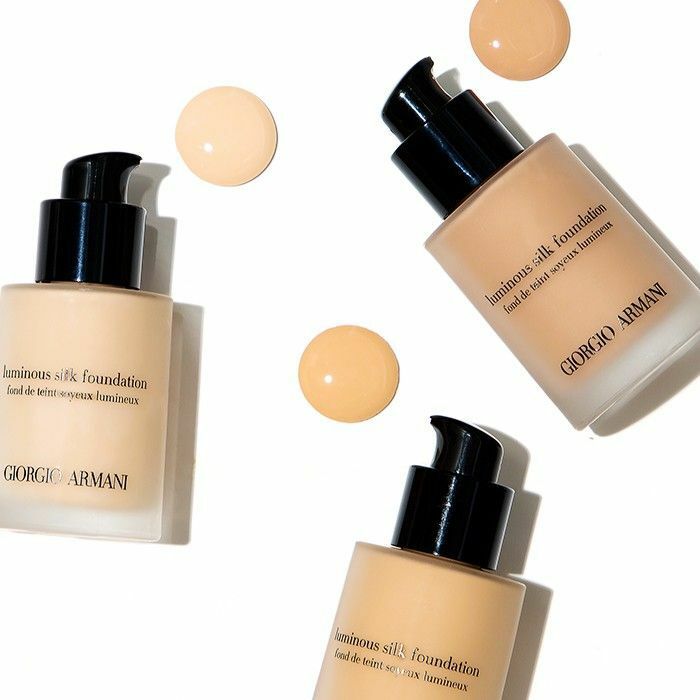 Truthfully, Charlotte Tilbury and Giorgio Armani foundations aren't that different—radiant finish, light to medium coverage, similar fluid texture. But the main reason I can't sign my love over to Giorgio Armani is the coverage. It's so light that it's hardly foundation. It feels and looks like more of a tinted moisturizer. I just need a bit more coverage." Still on the hunt for the perfect foundation? Read my love letter to Charlotte Tilbury's Magic Foundation. So Is La Mer Foundation Really Worth the £90 Spend?